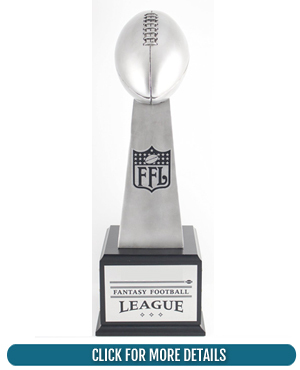 At the same time, for those fantasy-challenged, a loser’s trophy can be a lasting symbol of crushed dreams, injury-ruined seasons, or obvious ineptitude. For some, trying desperately to avoid taking home a marker of shame can make those last few games fun for everyone — even those whose playoff hopes were unceremoniously demolished in Week 8. Upgrading your league’s gear is a task that shouldn’t be taken lightly, so take some time to review your options and see which trophy is right for you. 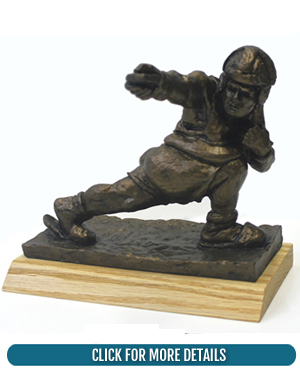 The following are Gridiron Experts favorite Fantasy Football trophies. We also have some tips in this article for helping choose the best award if you’re undecided. Gridiron Experts has made some massive changes in 2017, including discontinuing its premium subscription model and making all content 100% free. 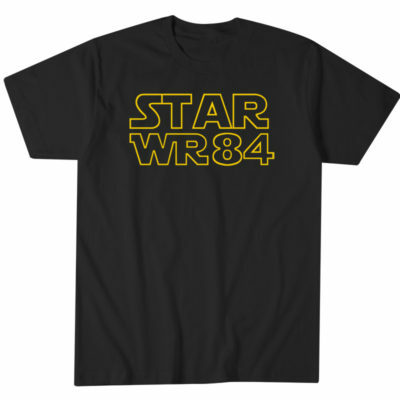 Our goal is to make Fantasy fun again and we feel we’ve done that with the launch of our very own store! 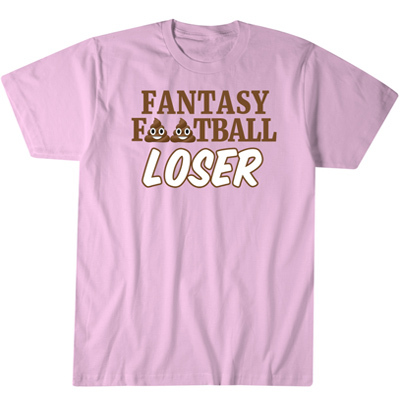 Fantasy Football T-Shirts is the home of the best high-quality Fantasy Football T-Shirts on the web! 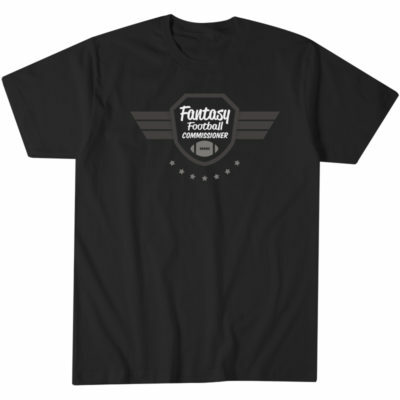 We are constantly adding more designs and have invested in soft high-quality shirts that the fantasy fan can wear every day. 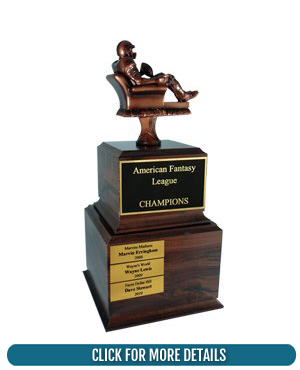 Maybe change your thought process on how your league should approach the fantasy football trophy angle. 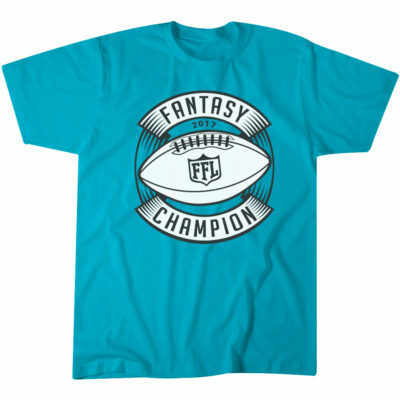 Why spend $100 on a trophy that your league champ is just going to stick in the closet for most of the year. 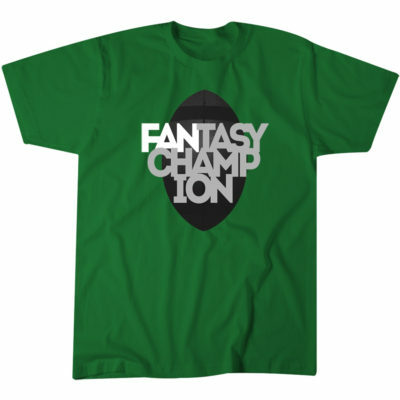 A championship shirt or coffee mug is a constant reminder of who’s the champ. 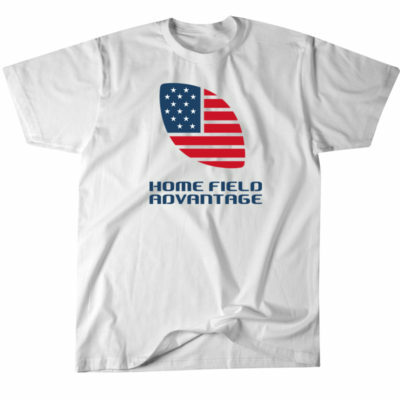 The best part is we plan to update out championship shirts every year, meaning new designs, more Facebook, Instagram and Twitter pics for bragging rights. 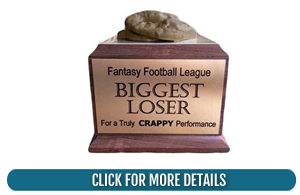 Most fantasy football fans will think getting a trophy as one of these elite awards is too much, overkill if you will. 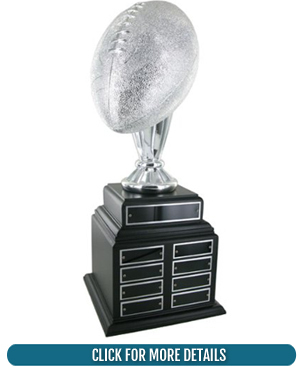 We here at Gridiron Experts know for a fact that cash prizes can come and go, yet an impressive fantasy football trophy is bragging rights for at least 8 months before the season starts up again. Just think of the photos you can take. Throw a picture of you and one of these awesome awards on your Facebook page and let your league mates eat their heart out. You can even have fun with it, like the traveling gnome. Take photos of you taking your new friend around the city. Mock the league in good fun. There are hundreds of things you can do that will pester your league mates, but for some, just placing a trophy on your desk or mantle is good enough. 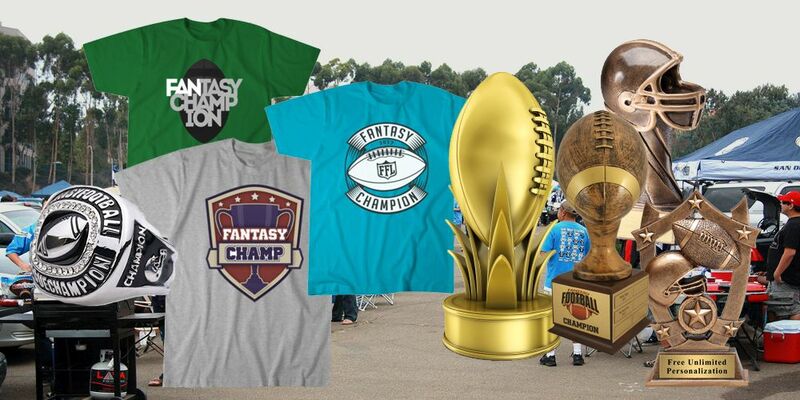 Having a Fantasy league crown also ups the level of competition. It creates a prize at the end of the season that you can hold up in the air with pride. 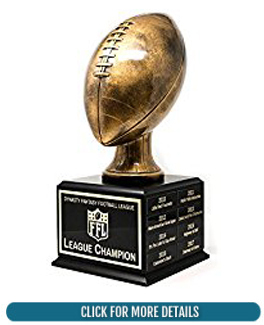 I’ve read on twitter many times that people think the guys on the show “The League” are amateur with their little eight-man league and season end prize, but what drives that competitive force on the show? The Shiva. Your league needs a Shiva. Type symbol. 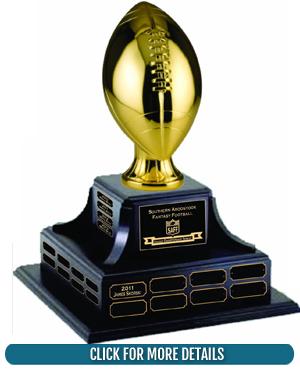 Seriously, having a Trophy amps the league and takes things to the next level. If you want to go big in a big way, and your league is okay with cutting into that pot of sweet prize money, look no further than these impressive trophies. 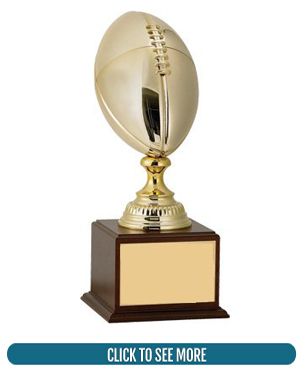 A collection of multiple championship trophies will tell everyone who enters your home that you are a winner. Of course, if you are consistently amazing, you run the risk of cluttering your house with “too many” awards … but isn’t that a risk you’re willing to take? A few of these awards have places to add spots for future winners, yet the problem is you could outgrow them. 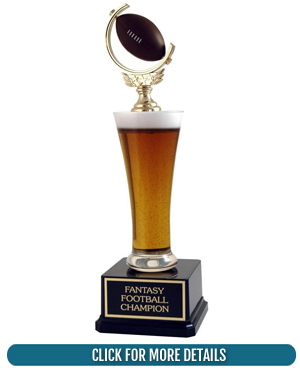 The beer glass fantasy football trophy is pretty cool, as is the infamous armchair fantasy trophy. Both are unique in their own way and do fit the part. Yet, you need to decide what type of league your fantasy group are; it sounds funny but if you guys take things far too seriously then you’re going to want some elite hardware. The same could be said for a fun easy going league. You shouldn’t overdo it if you have a great group of buddies or co-workers. 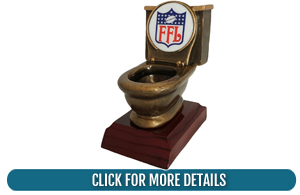 Make sure you pick a fantasy trophy that best defines your league. 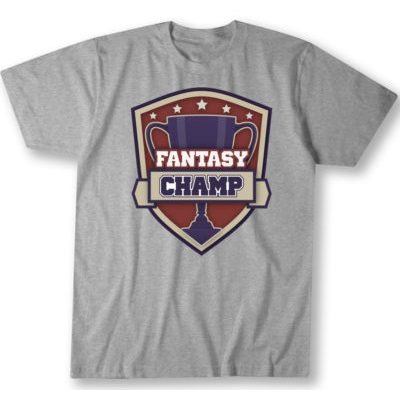 You want your league owners to want to yearn for the championship. 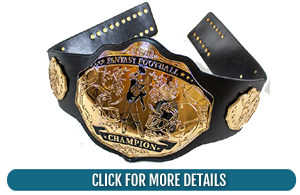 The Fantasy Football Championship Belt is the definition of a champion. It goes where you go and can make a hilarious appearance to ruin your league owners confidence throughout the year. 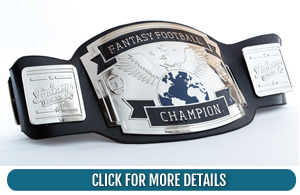 Your league can also use the belt as a league theme, like old-school WWF wrestling. Each person takes on a persona like Jake the Snake, Macho Man or the Ultimate Warrior. This belt is a lot of fun and a pretty good value compared to the other trophies listed. 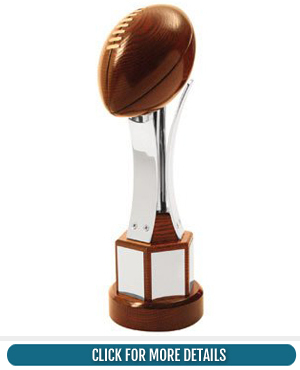 All these fantasy football trophies can be found on Amazon. I researched a dozen or so trophy websites and most sell their product on Amazon due to their fast shipping. 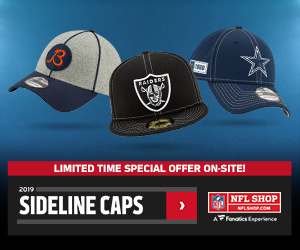 You could try to make your own using an old crappy football helmet of spend the day whittling wood, but time is money, and you’re better off just buying one and having it sent to your house.